Get answers to the biggest questions about preparing for CCPA compliance and see how this regulation compares to the GDPR. 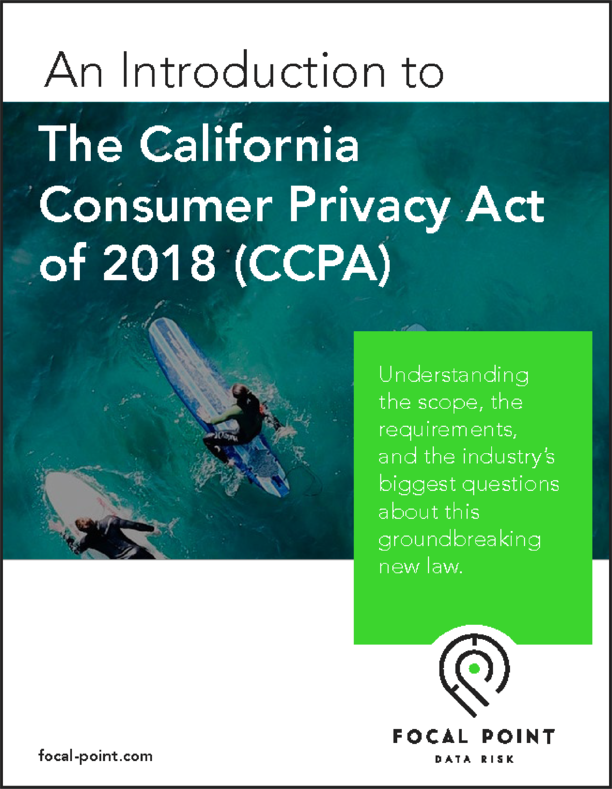 When California lawmakers published the Consumer Privacy Act of 2018 (CCPA) in June, it was met with a flurry of questions and a feeling of panic. Tech companies in Silicon Valley pushed back, questioning how their businesses could continue to operate effectively. Others, still recovering from their long marathon to GDPR compliance, searched for answers about how these two regulations aligned. The CCPA is the strictest privacy law ever issued in the U.S. It shares a number of similarities to the EU's influential GDPR, including an intense focus on consumer rights. Companies in scope of this regulation (an estimated 500,000) are required to be compliant by January 1, 2020, less than 18 months away. In addition, this regulation is expected to be the template many other states will follow as they create their own privacy legislation. To help you navigate the new requirements of this tough regulation and prepare for compliance, the Focal Point team has created a free ebook that answers your biggest questions.